Knife care products and accessories for sale. Low prices on knife care products, fixed blade or folding knife sheaths, knife storage, and display cases. 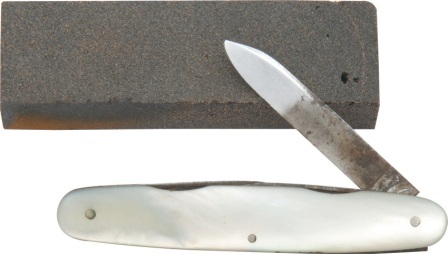 A Comprehensive Guide to Choosing, Using, and Maintaining Fixed Blade and Folding Knives. By Len McDougall. 220 page paperback. Contains field tests with more than 60 reviews. Also includes lessons on sharpening a blade, identifying different types, collecting, and use for survival and self-defense. Bulk packed. Made in China. Amount: 0.4 f. oz. 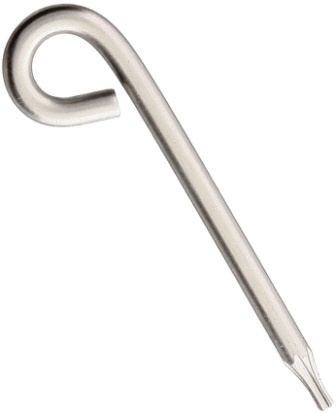 Other Info: Needle style applicator tip. Bulk Packed. Made in China. Dimensions: 13.75" X 12"; Construction: PU Leather; Color: Black; Other Info: Very easy to assemble. Compact and stylish. Two compartments to separate your gear. Bulk packed. Made in China. 2oz. SMT (Sub-Micron Technology). Engineered to protect and enhance the performance of today's sophisticated folding knife mechanisms. Non-migrating and non-toxic. Will fill surface disparities between the bearing, blade, and handle, allowing for smoother operation while preventing corrosive elements from damaging the mechanism. Bulk packed. Made in the USA. Measures 14 3/8" x 11" x 2 3/4". 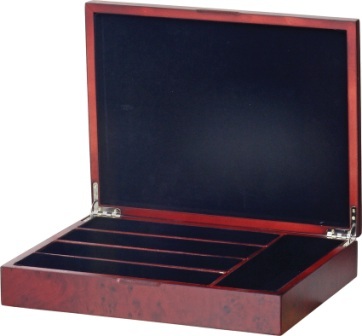 Wooden construction with 5 compartments and black velveteen lining. Made in China. 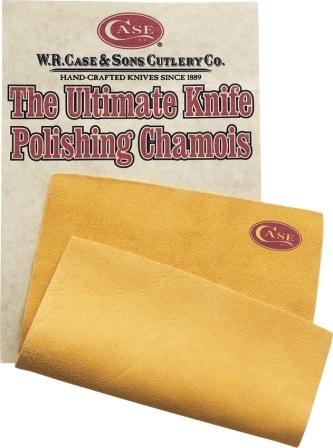 Ideal for knife polishing. Hand selected optical quality. Lint free. Made in the USA. Amount: 1.76 oz; Other Info: Will restore shine to bolsters, blades, and shields. Great for chrome, silver, aluminum, brass, and more. Boxed. Made in USA. Amount: 1.76 oz; Other Info: Box of 24 tubes. Cardboard countertop display measures 6.5" x 6.75" x 10". Great for chrome, silver, aluminum, brass, and more. Will restore shine to bolsters, blades, and shields. Boxed. Made in the USA. 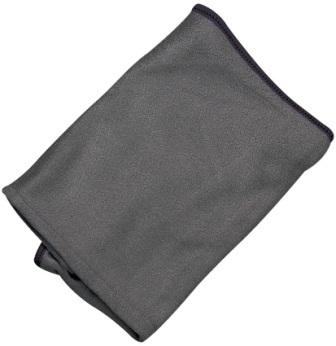 8" x 8" microfiber cloth tucks into flexible silicone pouch when not in use. Clip attachment. Color: Black. Hang packaged. Made in China. Cardboard display measures 17" x 5 3/4" x 3 1/2" and can stand independently on counter or hang on peg hooks. Includes eight containers of Field & Range Solution Pads. Each individual container has 75 pre-saturated patches. 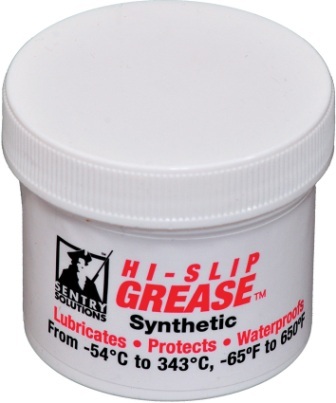 Used for cleaning, lubrication, and rust protection for precision firearms. 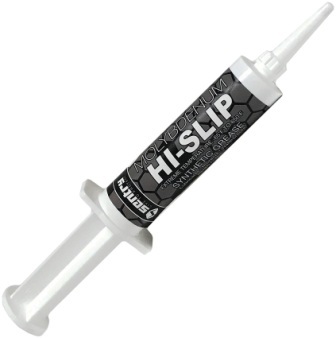 Great for cleaning and rust-proofing the bore of muzzleloaders, rifles and shotguns. 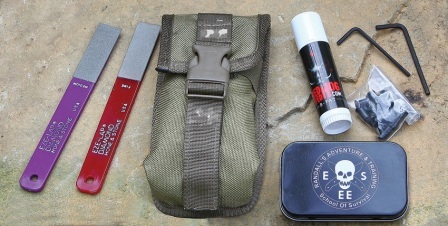 Can be carried in your hunting/range bag or airline carry-on bag. Solution contains no ammonia, graphite, lithium, moly, Teflon or silicone. Will not gum up or freeze up. Also protects wood and leather. Made in the USA. Perfect for an ATV, side x side, or truck. Fits most cup holders with interior diameter of 3.27" to 3.46". Adaptor for large cup holder with interior diameter of 3.74" to 3.94". Includes net cover with hooks to keep tools in place. Fits multiple tools and knives up to 7". Prym1 camo design. Clam packed. Made in China. Contains: EZE-LAP Diamond hone and stone in both medium(400) and fine(600) models, RedEyedHog B-Fat easy to use 0.5 ounce lip balm style tube (B-Fat can be used as a knife/tool steel protectant, cast iron seasoner, leather and wood protectant, and even skin balm), Randall's Adventure & Training tin with 2 packs of screws and 2 Allen wrenches. 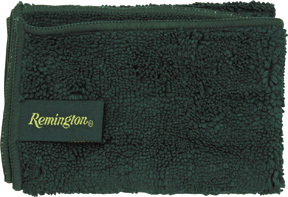 Comes in OD green nylon pouch with plastic fastener. Bulk packed. Made in the USA. Food grade oil based paste. 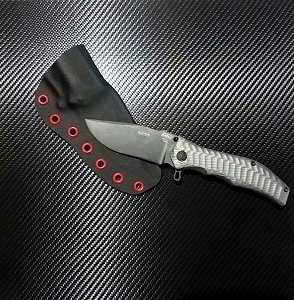 Designed especially for carbon steel knives and exposed metal surfaces. High resistance to heat. Will not gum up or attract dust and dirt. Hang packaged. Made in the USA. Clean bore and total gun cleaning product. No jams - no rust. Bio-based, non-toxic, non-flammable, non-petroleum dry cleaning solvent, degreasing solvent (DS), powder cleaning and rifle bore cleaner (RBC). Complies with U.S. Army TM 9-1009-319-23&P (M16/M4), U.S. Army TM 9-1005-211-12 (M1911A1) and U.S. Army FM 31-70 Field Manual for Cold Weather Operations. Formulated to exceed MIL-PRF-680. Environmentally green. Clear reusable plastic bottle with screw top lid and flip top. Includes optional spray nozzle. 8 fl. oz. Bulk packed. Made in the USA. Black plastic slim bottle with flip-top squirter cap. 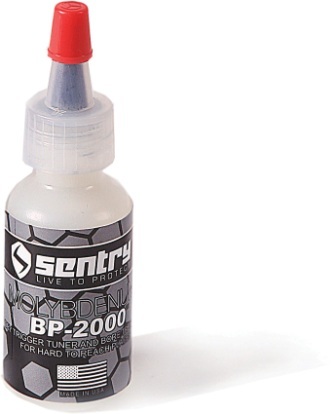 Polishes and protects rifles, guns and knives. Premium white carnauba and beeswax formula is non-abrasive and solvent-free. No build-up. Easy to use - simply apply and buff for beautiful results without build-up or residue. Shines and protects against fingerprints, powder residue, rust, blood, water spots and tree sap, salt deposits and lime deposits. Safe on gun bluing, polished and rubbed stocks, stainless, brass, nickel, interior and exterior of the bore and much more. Will not attract dust or wash off in the rain. Six month protective coating resists stains and provides UV protection (six month in fresh water and three months in salt water). Eco-Safe Green Product. 7.6 fl. oz. bottle. Bulk packed. Made in the USA. Metal, Plastic, & Fiberglass Polish & Paint Restorer. Anti-tarnish formula. Works quickly for knife care and gun care. Lasts up to 6 months. Non-abrasive, non-toxic, non-flammable. Acid free. Won't dry out. Leaves no residue. Safely clean, polish and protect: brass, copper, silverplate, sterling, chrome, stainless, nickel, bronze, solid gold, aluminum, anodized aluminum, pewter, magnesium, platinum, acrylic, factory gun bluing, painted surfaces, glass, plexiglass, eisenglas, and fiberglass. Removes: tarnish, rust, water stains, chalking, lime deposits, heat discoloration, lead and powder residue, oxidation, fingerprints, flies, tree sap, bird droppings, graffiti, and dyes. Not for use on electroplated finishes. One quart (2 lb.) can. Covers approximately 2,000 square ft. Bulk packed. Made in the USA. Liquid Metal Polish for knife care and gun care. Black plastic slim bottle with flip-top cap. A diluted version of the original paste formula. This product is a high-performance cleaner and polish in a liquid form. Specially formulated to clean and polish with the ease and economy of a liquid. This concentrated formula goes three times farther than other liquids and leaves a brilliant shine in half the time. Contains no ammonia or abrasives. Acid free. Non-toxic. Non-flammable. Cleans & Polishes: Brass, Copper, Silverplate, Sterling Silver, Chrome, Stainless Steel, Nickel, Bronze, Solid Gold, Aluminum, Anodized Aluminum, Pewter, Magnesium, Beryllium, Platinum, Acrylic, Factory Hot Gun Bluing, Painted Surfaces, Formica®, Cultured Marble, Corian®, Glass, Plastic Windows, Plexiglass® and Fiberglass®. Removes: Tarnish, rust, water stains, chalking, lime deposits, heat discoloration, lead & powder residue, oxidation, fingerprints, bugs, tar, tree sap, bird droppings, graffiti and dyes. Not suitable for: Electroplate. Made in the USA. Black plastic slim bottle with flip-top cap. 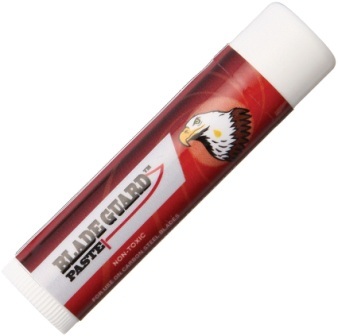 A diluted version of the original paste formula for knife care and gun care. This product is a high-performance cleaner and polish in a liquid form. Specially formulated to clean and polish with the ease and economy of a liquid. This concentrated formula goes three times farther than other liquids and leaves a brilliant shine in half the time. Contains no ammonia or abrasives. Acid free. Non-toxic. Non-flammable. Cleans & Polishes: Brass, Copper, Silverplate, Sterling Silver, Chrome, Stainless Steel, Nickel, Bronze, Solid Gold, Aluminum, Anodized Aluminum, Pewter, Magnesium, Beryllium, Platinum, Acrylic, Factory Hot Gun Bluing, Painted Surfaces, Formica, Cultured Marble, Corian, Glass, Plastic Windows, Plexiglass and Fiberglass. Removes: Tarnish, rust, water stains, chalking, lime deposits, heat discoloration, lead & powder residue, oxidation, fingerprints, bugs, tar, tree sap, bird droppings, graffiti and dyes. Not suitable for: Electroplated Finishes. Eco-Safe Green Product. 3.4 fl. oz. bottle. Covers approximately 500 sq. ft. Bulk packed. Made in the USA. 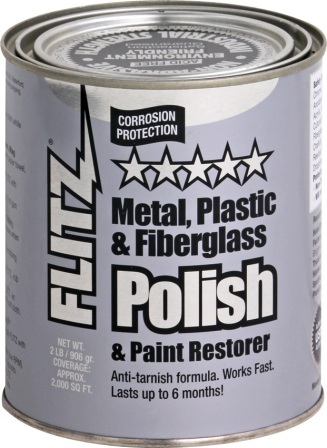 Metal, Plastic, & Fiberglass Polish & Paint Restorer. Anti-tarnish formula. Works quickly for knife care and gun care. Lasts up to 6 months. Non-abrasive, non-toxic, non-flammable. Acid free. Won't dry out. Leaves no residue. Safely clean, polish and protect: brass, copper, silverplate, sterling, chrome, stainless, nickel, bronze, solid gold, aluminum, anodized aluminum, pewter, magnesium, platinum, acrylic, factory gun bluing, painted surfaces, glass, plexiglass, eisenglas, and fiberglass. Removes: tarnish, rust, water stains, chalking, lime deposits, heat discoloration, lead and powder residue, oxidation, fingerprints, flies, tree sap, bird droppings, graffiti, and dyes. 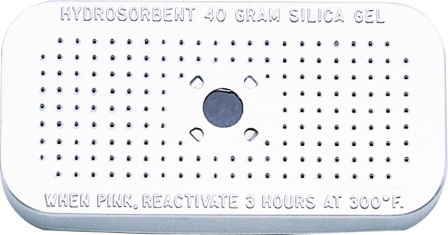 Not for use on electroplated finishes. 1.76 oz. tube. Hang packaged. Made in the USA. Large size measures 16" x 16". Washable and reusable up to 500 times. Streak-free performance. Use wet or dry. Works electrostatically. Useful for cleaning windows, mirrors and optics. Removes dust from computers, video/stereo equipment, CD's/DVD's, cameras, guns, silver, crystal and much more. Polishes and buffs off wax easier and faster than cloth. Removes fingerprints and oils in one wipe. May be used on any surface: glass, plastic, auto paint, fiberglass, vinyl, leather, stainless steel, all metals, tile, ceramic, marble, granite and linoleum. Hang packaged. Made in China. Includes 1.7 oz. spray bottle Stainless Steel & Chrome Clean, 1.76 oz. 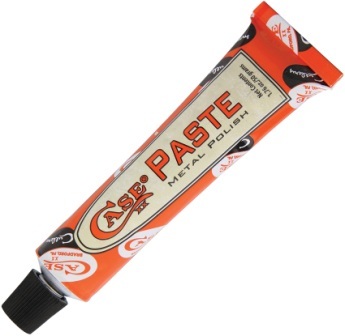 tube Metal, Plastic and Fiberglass polishing paste, 1.76 oz. spray bottle Rifle/Gun & Knife Wax and Thick & Thirsty Microfiber cloth. Use on bluing, stocks, stainless, nickel and more. 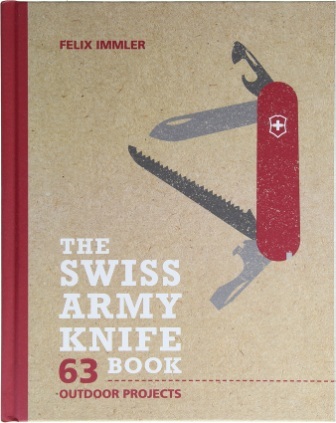 Helpful to keep your gun, rifle, knife, axe or sword looking new. Hang packaged. Made in the USA. Black plastic slim bottle with spray pump and cap. Removes fingerprints, oily & wax residue, water spots, dirt, carbon and other impurities. Will NOT leave a shine. Will NOT remove bluing. Will NOT remove parkerized finish. Environment friendly. Use on all matte finishes including Parkerized finishes, Tactical finishes, gun wraps, AR firearms and stainless steel. Also use on factory gun bluing. Works great on matte finish and stainless steel knives too! Eco-Safe Green Product. 7.6 fl. oz. bottle. 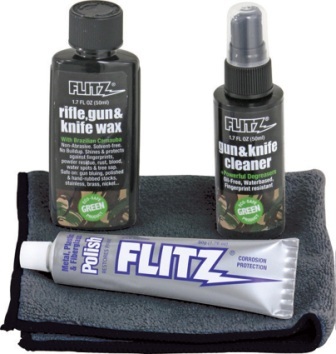 Will clean and maintain your firearms and knives up to 100 times! Bulk packed. Made in the USA. Dimensions: 9" x 3.5" x 2.5". 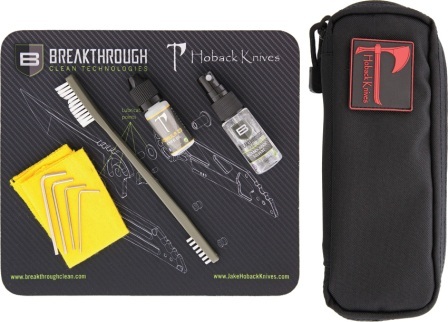 Kit includes: 0.4oz Formula 23 knife oil; 0.5oz Breakthrough clean solvent; cleaning brush; cleaning cloth; knife disassembly tool pack; (4 Allen wrenches); cleaning mat; storage pouch; and Jake Hoback Knives PVC patch. Color: Black. Bulk packed. Made in the USA. 0.4oz. Allows for smoother operation. Works to prevent corrosion. SMT (Sub-Micron Technology) absorbs into pores of metals for even conditioning. Non-migrating. Non-toxic. Hang packaged. Made in USA. 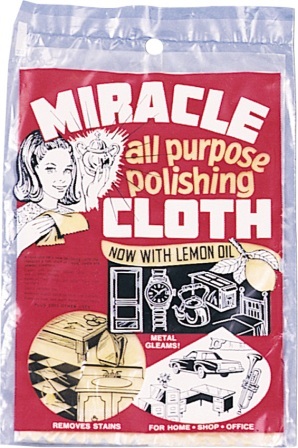 A revolutionary polishing cloth that replaces a full shelf of liquid, paste and powder cleaners. Ideal for home, shop or office. Over 1001 uses, including knife care, gun care and more. Made in the USA. Other Info: Six pieces. Fast cutting action. Removes rust scale, carbon, heavy tarnish. Bulk packed. Made in the USA. Other Info: Six pieces. Medium cut/color. Use on chromium, stainless, brass, aluminum. Bulk packed. Made in the USA. Other Info: Six pieces. Medium cut. Use on copper, brass bronze, zinc, aluminum. Bulk packed. Made in the USA. Other Info: Six pieces. High luster. Use on gold, silver, sterling, nickel, and platinum. Bulk packed. Made in the USA. Other Info: Six pieces. High luster. Use on stainless, aluminum, brass, plastics. Bulk packed. Made in the USA. Contains four 100% yellow cotton cloths measuring approximately 12" x 12". 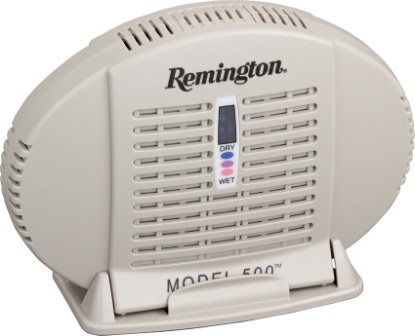 Ideal for automotive, home and commercial use. Great for knife care and gun care. Made in Pakistan. Measures 10" x 10" . Cloth is saturated with Rem Oil with VCL. Useful for wiping down firearms, knives, tools, fishing reels or metal surfaces for long term protection. Cleans, protects and lubricates. Safe on all metal surfaces (ferrous and non ferrous). 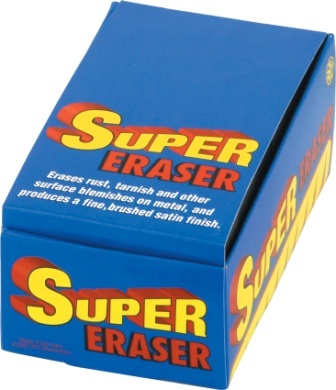 Able to penetrate into the smallest cracks or crevices. Hang packaged. Made in the USA. Absorbs excess moisture in a 500 cubic foot area. Measures approximately 8" wide x 6" high. White plastic casing. Uses water glass technology crystals which are colorless, odorless and non-toxic. To regenerate, plug the unit into an electrical outlet. No batteries or wires required. Hang packaged. Made in Taiwan. 100% renewable and has an approximate life span of 10 years. The Model 365 stops dampness without messy spills. Completely safe and won't damage clothes or valuables. Needs no power to operate. Uses Water Glass technology crystals. Hang packaged. Made in Taiwan. Medium Strength. For 1/4" to 3/4" diameter fasteners. No drip, No waste! 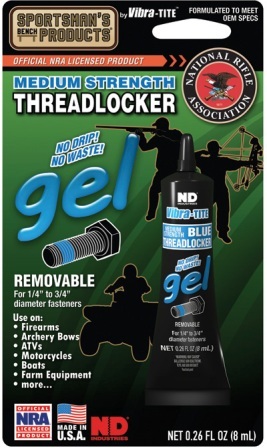 Use BLUE GEL when threaded items need service removability. Prevents fasteners from loosening. Torque Break: 120 in/lbs. Torque Prevail: 45 in/lbs. Temp Range: -65°F to 300°F. Use on firearms, archery bows, ATVs, motorcycles, boats, farm equipment and more. Formulated to meet OEM Specs. Net 0.26 fl. oz. Hang packaged. Sportman's Bench Products are the only adhesives licensed by the NRA, an Official NRA Licensed Product. Product of ND Industries. Made in the USA. Permanent Strength. Permanently locks fasteners up to 1" in diameter. No drip, No waste! Use RED GEL when threaded items need to stay put indefinitely. Prevents fasteners from loosening. Torque Break: 200 in/lbs. Torque Prevail: 100 in/lbs. Temp Range: -65°F to 300°F. Use on firearms, archery bows, ATVs, motorcycles, boats, farm equipment and more. Formulated to meet OEM Specs. Net 0.26 fl. oz. Hang packaged. Sportman's Bench Products are the only adhesives licensed by the NRA, an Official NRA Licensed Product. Product of ND Industries. Made in U.S.A.
Multi-purpose. Use for strong, quick repairs. Fast setting. High strength. Pinpoint precision tip. Surface insensitive. Works with metal, plastic, rubber, ceramic, cork, paper, wood, leather, fabrics, vinyl and more. Use for sporting, household, automotive, marine and crafts. Color: Clear. Net 0.5 fl. oz. Hang packaged. 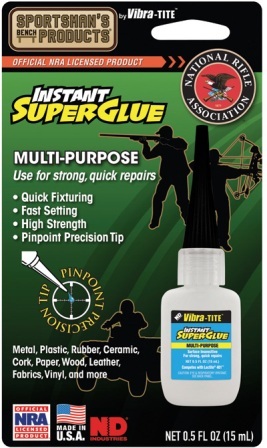 Sportman's Bench Products are the only adhesives licensed by the NRA, an Official NRA Licensed Product. Product of ND Industries. Made in the USA. 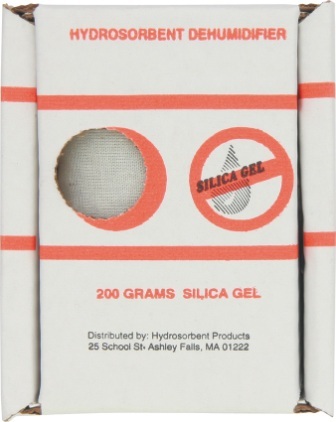 200 Gram Silica Gel unit protects 15 cubic feet area. "Drinks up". moisture from within enclosed storage spaces, safes, etc. 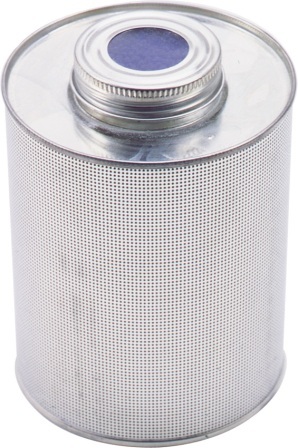 Prevents condensation, stops rust, mildew, corrosion and spoilage. Once saturated, built-in indicator turns from blue to pink signaling need to reactivate unit. Reactivates easily in oven for lifetime protection. Made in the USA. 40 gram size. Protects up to 3 cubic feet of enclosed space. Drinks up moisture from within enclosed storage spaces, safes, etc. 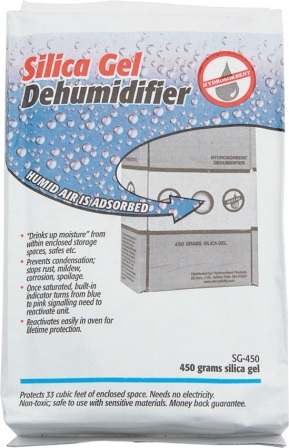 Prevents condensation, stops rust, mildew, corrosion, spoilage. Once saturated, built-in indicator turns from blue to pink signaling need to reactivate unit. Reactivates easily in oven for lifetime protection. Approximately 2" x 4" x 1/2" in size. Made in the USA. 450 gram size. Protects 33 cubic feet of enclosed space. Drinks up moisture from within enclosed storage spaces, safes, etc. 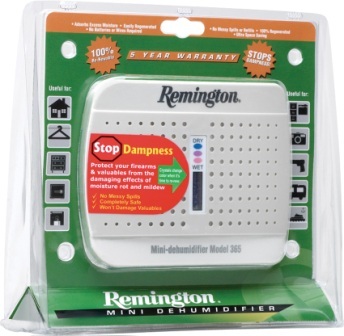 Prevents condensation, stops rust, mildew, corrosion, spoilage. Once saturated, built-in indicator turns from blue to pink signaling need to reactivate unit. Reactivates easily in oven for lifetime protection. Made in the USA. 750 gram size. Protects up to 57 cubic feet of enclosed space. Drinks up moisture from within enclosed storage spaces, safes, etc. Prevents condensation, stops rust, mildew, corrosion, spoilage. Once saturated, built-in indicator turns from blue to pink signaling need to reactivate unit. Reactivates easily in oven for lifetime protection. Made in the USA. 900 gram size. Protects 66 cubic feet of enclosed space. Drinks up moisture from within enclosed storage spaces, safes, etc. 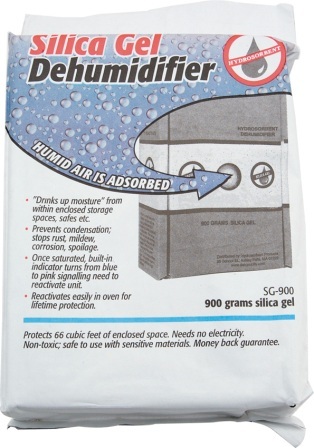 Prevents condensation, stops rust, mildew, corrosion, spoilage. Once saturated, built-in indicator turns from blue to pink signaling need to reactivate unit. Reactivates easily in oven for lifetime protection. Made in the USA. 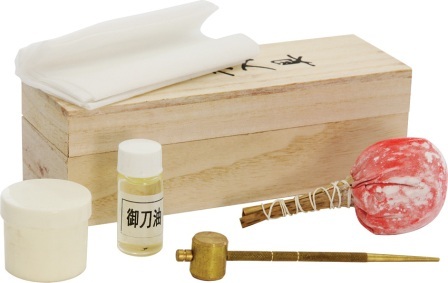 Includes: Brass awl and hammer, rice paper, small bottle of choji oil, extra large powder ball, and plastic storage container. Comes in wooden storage box. Boxed. Made in China. Erases rust, tarnish and other surface blemishes on metal, and produces a fine, brushed satin finish. Measures 3 1/8" x 1" x 5/8" Knife not included. Made in the USA. 12" x 12" /144 sq.. 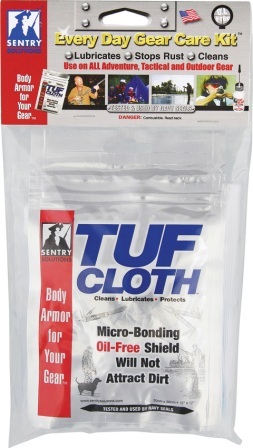 Revolutionary protection against rust, friction and wear for knives, firearms and all kinds of sports gear. A superior alternative to oil and silicone rags. 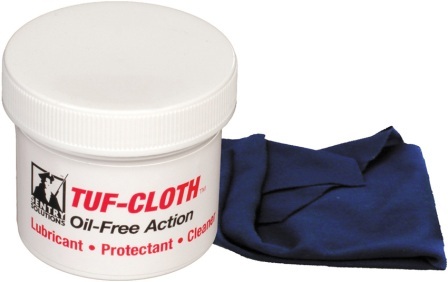 Tuf-Cloth provides long lasting, lint free cleaning, lubrication and protection. Sentry uses a mixture of dry film corrosion inhibitors and lubricants to deliver a fast-drying, water-displacing Micro Bonding Crystal Barrier. The protection won't wash off, will not attract dirt, or leave a slippery film. Tuf-Cloth out performs the competition thirteen to one in any weather condition. Use on wood, plastics and all types of metal. Excellent for fishing tackle, tools and all outdoor gear. Tuf-Cloths are made of a soft lint free fabric that is very durable. 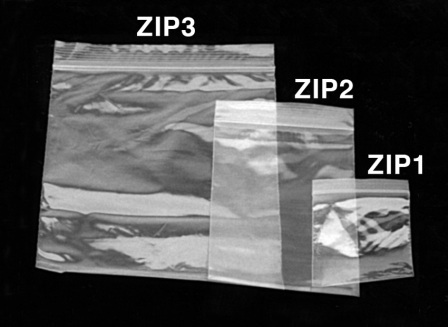 They come in re-sealable zip-lock vapor barrier storage pouches to assure long life. Made in the USA. 12" x 12"/144 sq. in. Soft, durable, lint free fabric construction. 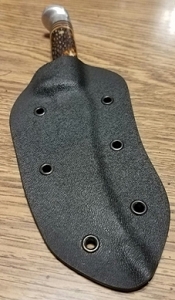 Revolutionary protection against rust, friction and wear for knives, firearms and all kinds of sports gear. A superior alternative to oil and silicone rags that provides long lasting, lint free cleaning, lubrication and protection. Sentry uses a mixture of dry film corrosion inhibitors and lubricants to deliver a fast-drying, water-displacing MICRO BONDING CRYSTAL BARRIER. The protection won’t wash off, will not attract dirt, or leave a slippery film. Tuf-Cloth out performs the competition thirteen to one in any weather condition. Use on wood, plastics and all types of metal. Excellent for fishing tackle, tools and all outdoor gear. The Tuf-Cloth is packed in a plastic jar with twist lid to ensure long life. Bulk packed. Made in the USA. 12" x 12" /144 sq.. A special formula with additional ingredients to enhance protection against highly corrosive saltwater and high humidity. 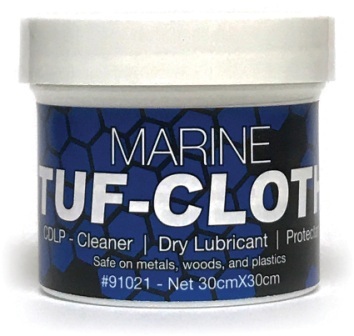 Use Marine Tuf-Cloth when your gear is faced with extreme conditions or for long term storage. Tuf-Cloths are made of a soft lint free fabric that is very durable. They come in re-sealable zip-lock vapor barrier storage pouches to assure long life. Made in the USA. Dimensions: 11.8" x 11.8". Lint-free cloth. Cleaner, dry lubricant, and protectant. Safe on metals, woods, and plastics. Bulk packed. Made in the USA. 0.5 oz. Oil free. Micro-bonding. Extreme lubricant, protectant and cleaner. Stops rust in extreme conditions and long term storage. Bulk packed. Made in the USA. 4.0 oz. Oil free. Micro-bonding. Extreme lubricant, protectant and cleaner. Stops rust in extreme conditions and long term storage. Bulk packed. Made in the USA. 0.1 oz. Dry trigger tuner and bore treatment for hard to reach places. Hang packaged. Made in the USA. Specifically designed to perform from -65 degrees to the hottest desert temperatures. Lubricates and protects all types of metals including titanium, even under high load. Net 12 cc. Syringe applicator. Made in the USA. Specifically designed to perform from -54°C to 343°C, -65°F to 650°F. Lubricates and protects all types of metals including titanium, even under high load. 56 grams, 2 oz. Packaged in a plastic jar with twist lid to ensure long life. Bulk packed. Made in the USA. 1/2 oz. /14ml. A quick drying liquid companion for Tuf-Cloth. Provides rust protection and lubrication that bonds to metal so it out performs and outlasts the competition. Use Tuf-Glide to clean, lubricate and protect the hard to reach areas of knives, firearms and all kinds of outdoor equipment. Made in the USA. 8oz. A quick drying liquid companion for Tuf-Cloth. Provides rust protection and lubrication that bonds to metal so it out performs and outlasts the competition. Use Tuf-Glide to clean, lubricate and protect the hard to reach areas of knives, firearms and all kinds of outdoor equipment. Made in the USA. 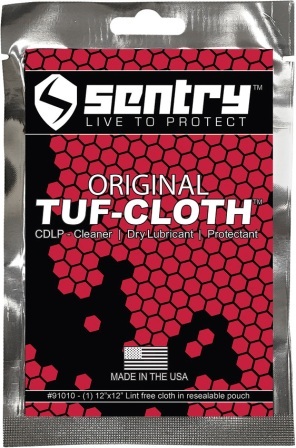 Sentry Solutions Tuf-Glide Oil-Free Lubricant, Protectant, Cleaner. Micro-bonding. Repels dirt. Stops rust. Tested and used by Navy Seals. Net 7.39 ml. / 1/4 oz. Syringe applicator. Hang packaged. Made in the USA. A quick drying liquid companion for Tuf-Cloth. 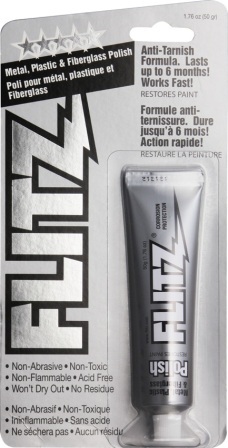 Provides rust protection and lubrication that bonds to metal. Use Tuf-Glide to clean, lubricate and protect the hard to reach areas of knives, firearms and all kinds of outdoor equipment. Repels dirt. Oil-free. 4 oz. aerosol bottle. Hang packaged. Made in the USA. Body armor for your gear! Oil free performance. Clean, lubricate, protect and sharpen. Kit contains (1) Tuf-Cloth 12x12. Dry bonded non-toxic protection. Stops rust, acts as a waterproof shield, displaces moisture. Self-cleaning barrier - won't attract dirt or stain clothes. Removes fingerprints. Long lasting lint-free protection good for 100's of uses. Tested & Used by Navy SEALS. 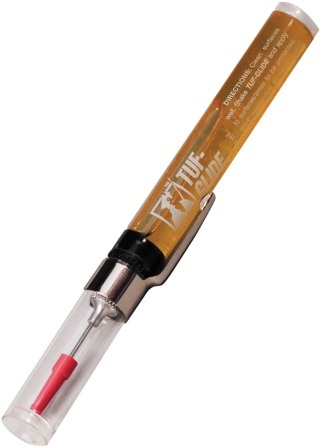 Endorsed worldwide; (1) Tuf-Glide 0.25 oz, Superior oil free lubrication and protection in any temperature. Repels dirt. Stops rust. Pinpoint application for hard to reach places. Blade® Knife Accessory of the Year; (1) Gatco® super micro sharpener. Four rods - two fine/white, two medium/dark. 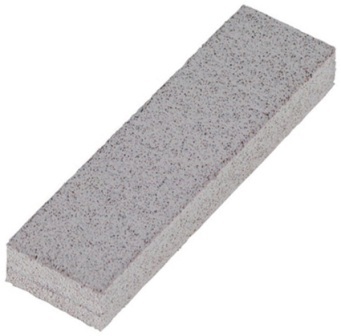 Slip resistant grip pads. Great for all blades, even serrated. Preset sharpening angle. Also includes durable lint-free cleaning tool to reach nook and crannies. Stores in metal tin. Made in the USA. 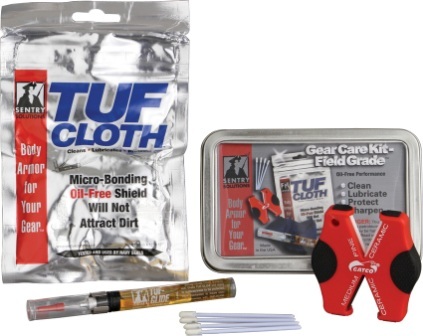 Includes a Tuf Cloth, 0.5 oz bottle of Tuf-Glide plus lint-free foam tipped swabs (5x Large; 12x small; 5x cotton); 5x pipe cleaners; 10x patches; gloves; 4x alcohol pads; and instructions. Hang packaged. Made in the USA. 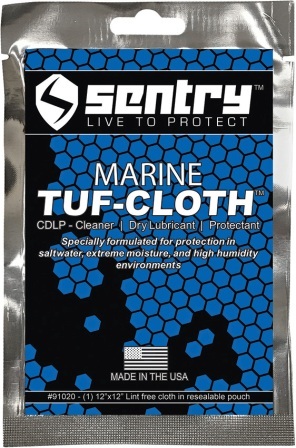 Includes a Marine Tuf Cloth, 0.5 oz bottle of Tuf-Glide plus lint-free foam tipped swabs (5x Large; 12x small; 5x cotton); 5x pipe cleaners; 10x patches; gloves; 4x alcohol pads; and instructions. Hang packaged. Made in the USA. 2" overall. Stainless construction. Bulk packed. Made in China. Approximate size is one square foot. Hand selected optical quality chamois is prepared to be used dry. Both sides finished to maximum softness and lint free. Made in the USA. 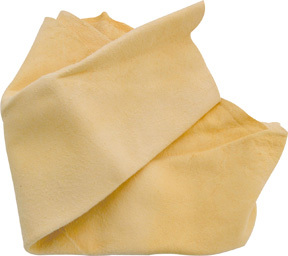 Other Info: Contains three 5.5" x 4" sheepskin pads, one 6" x 6" microfiber cloth, and one 1.7oz liquid polish. Clean, protect, polish, and shine. Get into hard to reach areas. Hang Packaged. Made in USA. 1.4 oz. tube. Cleans, polishes and protects. Removes tarnish and oxidation, surface rust, water spots, tars and oils. Great for jewelry, guns, knives, cookware, silverware, chrome automobile and motorcycle parts, trophies, golf clubs, bowling balls and much more. Works on brass, silver, gold, chrome, copper, nickel, stainless steel, pewter, porcelain, fiberglass, Plexiglas, hard plastics and painted surfaces. Hang packaged. Made in Taiwan. 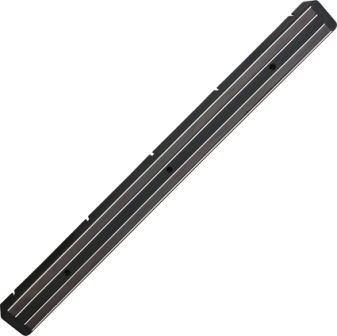 Measures 13 1/2"L x 1 5/8"W x 7/8"D. Wide magnetic bars ensure a strong grip on knives, tools and most metal utensils, including items with off-center balance points. Grasps objects frimly, yet releases without effort. Installs easily with recessed screws (included). Measures 18 5/8L x 1 5/8"W x 7/8"D. Wide magnetic bars ensure a strong grip on knives, tools and most metal utensils, including items with off-center balance points. Grasps objects firmly, yet releases without effort. Installs easily with recessed screws (included). Holds knives with 3"- 4 1/2" blades. Durable polypropylene construction. Locks and secures knife. Ideal to protect, store or transport knife. Dishwasher safe. Bulk packed. Made in Switzerland. Holds knives with 4"- 6" blades. Durable polypropylene construction. Locks and secures knife. 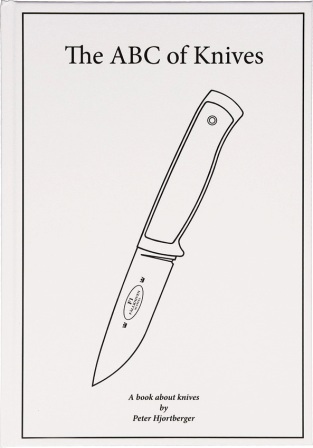 Ideal to protect, store or transport knife. Dishwasher safe. Bulk packed. Made in Switzerland. Holds knifes with 6"- 8" blades. Durable polypropylene construction. Locks and secures knife. Ideal to protect, store or transport knife. Dishwasher safe. Bulk packed. Made in Switzerland. Holds knives with 8"- 10" blades. Durable polypropylene construction. Locks and secures knife. Ideal to protect, store or transport knife. Dishwasher safe. Bulk packed. Made in Switzerland. Fits up to 7" blade. Set of three. Easy to use. Universal design fits most sizes and shapes. Can be cut to fit most blades. Dishwasher safe. Provides safe storage for sharp kitchen cutlery. Made in Switzerland. Fits up to 9" blade. Set of three. Easy to use. Universal design fits most sizes and shapes. Can be cut to fit most blades. Dishwasher safe. Provides safe storage for sharp kitchen cutlery. Made in Switzerland. Easy to use. Universal design fits most sizes and shapes. Can be cut to fit most blades. Dishwasher safe. Provides safe storage for sharp kitchen cutlery. Fits up to 10 1/2" blade. Set of three. Made in Switzerland. Easy to use. Universal design fits most sizes and shapes. Can be cut to fit most blades. Dishwasher safe. Provides safe storage for sharp kitchen cutlery. Fits up to 12 1/2" blade. Set of three. Made in Switzerland. Contains one each: 7", 9", 10 1/2" and 12 1/2" protectors. Easy to use. Universal design fits most sizes and shapes. Can be cut to fit most blades. Dishwasher safe. Provides safe storage for sharp kitchen cutlery. Made in Switzerland. 207 page hardback. By Felix Immler. 63 outdoor projects that can be built using nothing more than a Swiss Army knife. Bulk packed. May not ship International. Made in Switzerland. Perfect for storing and displaying merchandise. 100 bags per pack. Made in the USA.